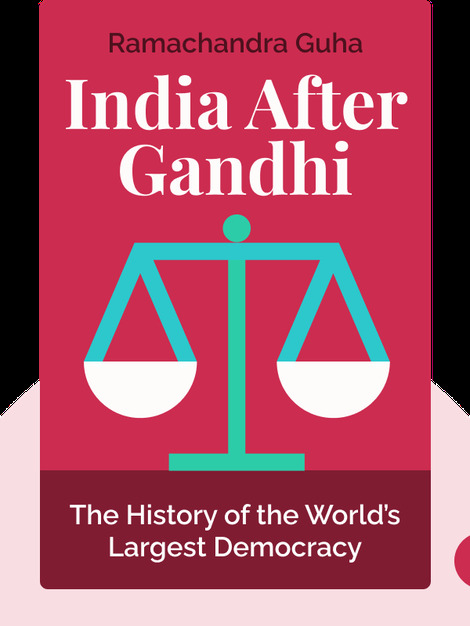 India after Gandhi (2007) chronicles the story of post-independence India. For centuries, the country was ruled by colonial overlords, but that changed in 1947. After a long struggle for independence, Indians gained self-rule. Since then, the journey hasn’t been easy, but India remains a persevering and determined democracy – and the largest the world has ever seen. Ramachandra Guha is an Indian historian and writer. His works have been translated into twenty languages, and have won a number of prizes. 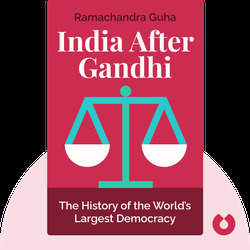 As well as being a regular contributor to The Telegraph and Hindustani Times, he is the author of numerous titles, such as Gandhi Before India (2013) and Gandhi: The Years That Changed the World, 1914-1948 (2018).